A BBC show has sparked controversy online after mocking British women who have travelled to Syria to join the Islamic State (IS, formerly ISIS/ISIL) and marry its fighters. 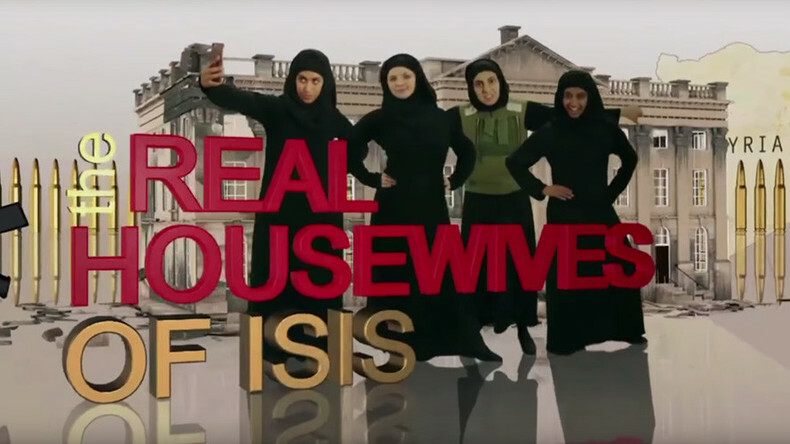 The Real Housewives of ISIS is a two-minute comedy skit produced as part of BBC 2’s new ‘Revolting’ show, which marks the return of pranksters and comedians Jolyon Rubinstein and Heydon Prowse to British TV. The sketch was originally published online on Tuesday and quickly gathered millions of views. But many were unhappy with the way the sketch made light of the lives of women living under IS in Iraq and Syria. In one scene, one of the housewives is seen pondering what to wear for a beheading. Another character, named Hadiya, says: “I’m so glad I’ve moved over here. It’s everything those guys on the chatrooms told me it would be.” She is then seen scrubbing the floor of a house bombed to rubble. “Making light of this situation feels inherently wrong, almost capitalizing on the suffering of these young girls who acted without proper insight," Ali added. “So the BBC has aired a ‘comedy’ sketch in a show titled ‘Real Housewives of ISIS’. I need to make it clear that on no basis this even satire,” tweeted another user, Selin Kara. So #Revolting on @BBCTwo was vile. Real Housewives of ISIS?! Who thought it would be ok? Racist, disgusting, and disturbing. Disappointed. YouTube star Ali Shahalom, also known as Ali Official, wrote on his official Facebook page: “Personally, I found the content very funny and wasn’t offended at all. The sketch ridicules online grooming and draws attention to an important topic. The whole point of satire is to expose stupidity. From what I’ve seen, it doesn't offend religion. Satire like this highlights the absurdity of those that recruit and get recruited for ISIS.